Long ram hydraulic jacks are engineered to be used most commonly with engine hoists, hydraulic cranes, and for mechanical, farm and automotive uses. They are great when you require extra long power strokes, with many people purchasing them as replacements for older, leaking units on transmission jacks. The Biltek is a solid option- it is an eight ton hydraulic long ram jack that has a lifting range of 24.4 inches all the way up to 44.1 inches. The manufacturers describe it as an exceptional complement to lifting, cherry pickers or engine hoists, with users generally satisfied at how well it works, saying that it was an inexpensive alternative to purchasing a used long ramp jack from a local supplier. Let's take a look at five of the best selling long ram hydraulic jacks on the market today to see how they compare. The Torin T30306 Long Ram Jack is a 3 ton long ram jack that many users like because of its slow release feature, making it easier to use on extra long-power strokes. 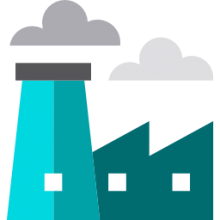 Another thing buyers liked is the fact that it has been 100% factory load-tested to make sure that it is reliable and runs safely. Many buyers say that this long ram jack works extremely well, especially for the price and is constructed quite well- durable and reliable. Many reviewers also commend that this long ram jack is very easy to install- taking only about ten minutes to get it up and ready to use. This long ram jack is popular with a lot of users because once it is hoisted up whatever a user needs hoisting such as an engine, there is never need for adjustments. Some users have found issues though when it comes to the distance it moves per stroke. Many have said it takes an awful lot of pumps to get the object as high as you need for it too be. Overall, most users agree that this long ram jack works quite well and is easy to use for most applications. The Sunex International 4-Ton Long Ram is a replacement for the earlier SUN7700B model and is an improved long ram jack. It is often used as a capacity pedestal transmission jack. Many buyers have commented that they like the fact that it is good for extra long power stroke requirements and that it has a four ton capacity. Most reviewers agree that once it is set up and ready to go it works great and operates as the company claims that it will operate. It is constructed well and appears to be quite durable and capable of handling most any kind of job up to its 4 ton capacity, which a lot of users prefer over a 3 ton model. Some buyers, however, did feel that once the long ram jack is mounted on a project- that it tends to take several minutes for it to raise and release consistently in the beginning. After a few uses, this long ram jam begins to work a lot better, quicker and more consistent. The XtremepowerUS 8 Ton Air/Hydraulic Long Ram Jack uses both hydraulics and air to get the job done. The ram itself extends from 23-3/4” to 42” high with 100psi to 120psi. The long ram jack has a diameter of 1-1/3” with a length of 17-1/2”, making for easy use and storage- which is something a lot of users like about this long ram jack. The air valve and its inlet are 1/4” x 18 NPT and has a very nice quick disconnect which some users seem to like about this unit. One key feature some users really like about this long ram jack is that it comes with an adapter plate and bolts to make it easy to attach the long ram jack to the adapter plate. Buyers like how easy this long jack ram is to install taking only a few minutes without having to make any adjustments or modifications of any kind. Using the air line is a nice feature for a lot of users because it allows the long ram jack to lift easily and quickly without the user having to do any kind of manual pumping. 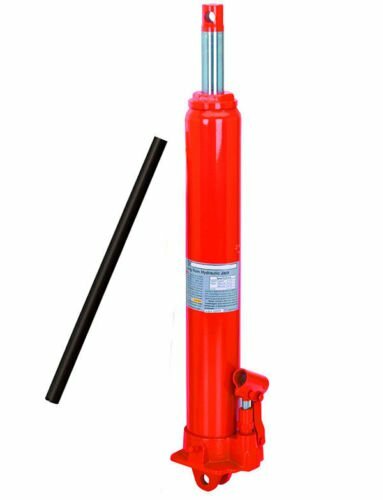 Although the XtremepowerUS 8 Ton Hydraulic Long Ram Jack is not equipped with an air valve for quicker hoisting, this has not stopped a lot of users from purchasing this item. The big draw with this long ram jack is the decent price tag that comes with it. Many users admit they were leery of purchasing this long ram jack just because the price was so low and were afraid that they might end up receiving an inferior product, but instead were impressed with the product they did receive. Buyers like the durability and sturdiness of this long ram jack and was surprised at how easy it turned out to be to use. This long ram jack has a minimum height of 24.4” and a maximum height of 44.1”. Users like its big 19-1/4” stroke, which allows for jobs that need a huge lift. Another feature many buyers liked is that it can mount right onto any shop crane they need it to mount to. The only thing that some users don’t like is that this long ram jack will only work in a vertical position. The Biltek Long Ram Jack 8 Ton is a jack that has a lifting range of 24.4” to 44.1” and is designed to work on all trailers for lifting huge items or for cherry pickers & engine hoists. Buyers like that this long ram jack has heat-treated chrome because it gives it extra strength as well as being more durable, something needed when working with huge projects. Another feature that has caught the eye of some users is that this long ram jack will mount directly onto their shop cranes, making it quite convenient and easier to use in shop situations. Reviewers like the idea that his long jack ram can be used for a variety of applications and can be used by a variety of people such as professional mechanics, truckers, off road enthusiasts and even farmers. The only thing that users didn’t like was that it doesn’t come with any instructions. In general, a jack is a style of lifting device that is capable of applying great force as well as hoisting incredibly heavy loads. There are two different styles of jacks, a mechanical traction and a hydraulic jack. Whereas mechanical jacks will use a screw head, hydraulic jacks, as the name implies, use hydraulic power. Some of the more common styles of jack on the market today include garage jacks, car jacks and floor jacks with many of these types of lifting tools used in automotive repair shop environments. Hydraulic jacks were actually invented in 1851- where they were traditionally used for different types of shop work. 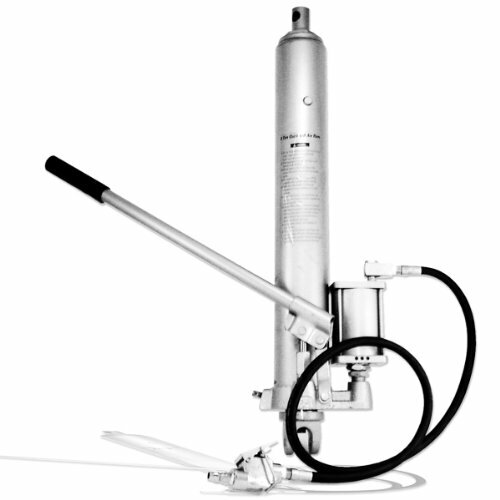 A hydraulic jack employees a type of incompressible liquid that is force-fed into a cylinder by its plunger pump. As time went on, different styles of jacks emerged including the bottle jack, pneumatic jack, strand Jack, the farm jack as well as the pallet jack. Hydraulic jacks, including the long ram jack, are in general highly specialized and useful devices that are commonly used in a variety of different types of industries and environments. We see them applied in automotive repair shops, for low-rise elevator repairs and for transferring incredibly heavy objects. Interestingly, they have even migrated into the medical arena where hydraulic stretchers, a style of patient transfer device, are used to move patients around, commonly picking them up and settling down into various positions. Floor jacks & bottle jacks are another popular style of jack. You may also see hydraulic jacks used to work on homes that have sagging foundations or crumbling walls- indeed they have many different types and styles of applications. If you're in the market for a long ram jack, or a long ram jack repair kit, and you don't want to purchase a used long ram jack- check out our comparison table, and the reviews on this page to get a sense of the best options on the market today.